The Castle, Saints and Druids 2014 tour explores the southeastern region of Ireland and includes 7 castles, 10 monastic sites and 8 megaliths along with stays in vibrant towns like Dublin, Kilkenny and Cashel. The 10-day tour winds through 10 counties and takes in Ireland’s diverse landscape of mountains, valleys, rivers, standing stones and rugged coastline. 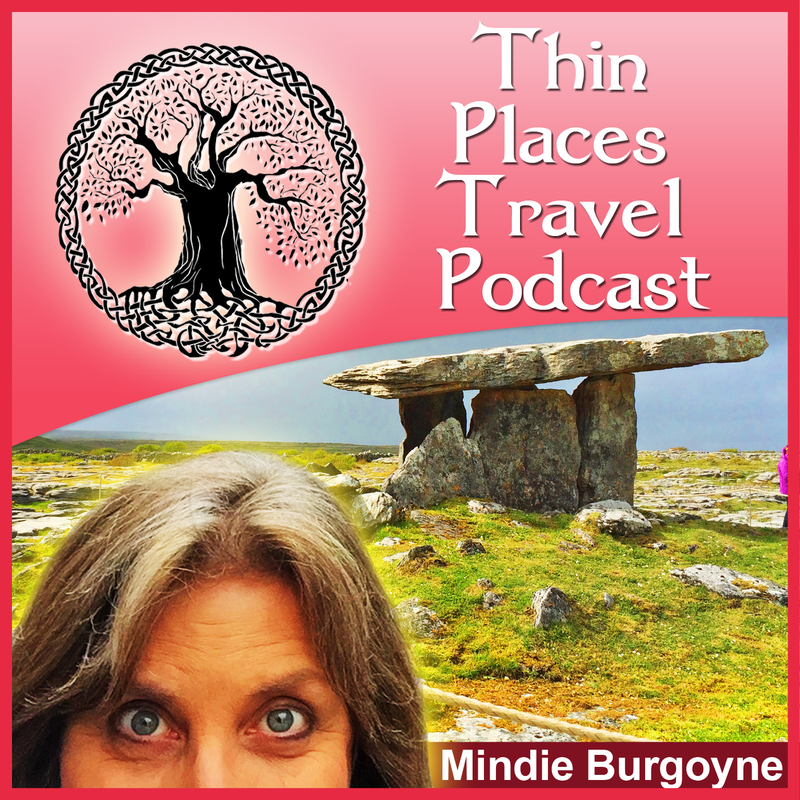 Mindie Burgoyne will lead you on a unique, intimate journey through thin places that will be life-changing. The Itinerary listed below gives a brief overview of the 26 sites on the Castles, Saints & Druids 2014 tour. It is subject to change based on the availability of access to some sites. Day 1 – Thursday, Sept. 11 – Welcome to Ireland! Guests arrive at Dublin Airport and are transported to their hotel in Dublin’s City Centre. Time to relax, explore the city and rest before your Welcome Dinner that evening in hotel. Optional Dublin walks during the day before dinner (free). Tour of Newgrange and the Hill of Tara will be offered by Mary Gibbons Tours. Mary is a historian and archeologist who will guide you through the history of both these amazing sites. The Hill of Tara was once the site where the High Kings of Ireland were crowned. It has long been associated with spiritual power and energy. Guests are invited to walk up on to the mound, feel the energy and take in the magnificent scenery. Newgrange is a passage tomb that is the oldest building in the world that is still intact. Guests will be able to walk into the tomb and see a demonstration of how light creeps into the darkness only on the winter solstice (the shortest day of the year). Visit Solas Bridhe in Kildare – the center of St. Brigid run by the Brigidine Sisters. Also visit St Brigid’s Cathedral and Tobar Bridhe – St. Brigid’s Holy Well and learn about the devotional rituals that have been practiced in these spiritually charged sites for centuries. Then on to Tullamore where you will check in for an overnight stay. Relax, walk and enjoy the town before joining the rest of the group for dinner. Lunch under own arrangement in Kildare. Dinner and overnight at Tullamore Court Hotel. After a full breakfast at head out to Charleville Castle the most haunted site in all of Ireland. Tour the ancient oak grove that surrounds the castle and learn about ley lines and how the Masons designed the castle to straddle lines that crossed. Later, head for Leap Castle, also very haunted – known for its “bloody chapel,” multiple ghosts and its elemental (non-human spirit). In the afternoon visit Monaincha, once referred to as a place “where no one could die.” This mystical site is has the ruins of a 12 century church on it and several old trees. Then head for the Rock of Cashel where you will sleep in the shadow of the great rock at the Cashel Palace Hotel – a former Irish Country House with stables that have now been converted into a hotel with cottages. Lunch and dinner under own arrangement. Overnight at Cashel Palace Hotel. After breakfast, begin your day with a guided tour of the Rock of Cashel, one of Ireland’s most stunning sites – a castle, cathedral, chapel and round tower built on top of a giant rock that emerges from its surrounding valleys in County Tipperary. Then tour Bru Boru, one of the finest interpretive museums in Ireland sharing the country’s history of Ireland with a special focus on Munster and Cashel. Then take the day to explore the town on your own including Hoar Abbey at the foot of the rock. Then at 4:00 pm depart for a short ride to Athassel Priory in the town of Golden. One of the largest ruins in Ireland…. and a very spooky place in the evening. Tour the scenic Glen of Arhelow in County Tipperary, visiting the Peakaun monastic site that includes a church, crosses, holy well and fairy tree. Also visit Kilberrihert’s Kyle also known as St. Berrihert’s Kyle – a devotional spot set in an oak grove where local residents took parts of a monastic ruin and made a shrine to St. Berrihert. Then travel over the border into County Cork and visit Labacalle, the largest wedge tomb in Ireland. Then go to the town of Cahir, have a late lunch and then tour Cahir Castle. Then return to Cashel. Visit the walled town of Fethard, a 13th century town that still has its original city wall and town structural layout. Participate in a tour of the town, see the old cathedral, graveyard and find the “sheela na gig.” Then on to Kilkenney where you’ll take a tour of the Castle and grounds and have the rest of the day to explore this bustling medieval town. Lunch and dinner under own arrangement. Overnight in Kilkenny. Visit Kilmogue portal dolmen, the tallest dolmen in Ireland standing 12 feet above the ground. Then explore the grounds of Tintern Abbey in County Wexford, a site founded by a Welshman lost at sea who promised God that if saved from drowning he’d found a monastery on the first land he touched. He finance the monastery and named it after his beloved “Tintern” in Wales. Though the Welsh Tintern Abbey is a beautiful ruin, Wexford’s Tinter is being restored. Then head out to the most mystical (and haunted ) lighthouse in Ireland – Hook Head Lighthouse. Guided tour of the lighthouse. 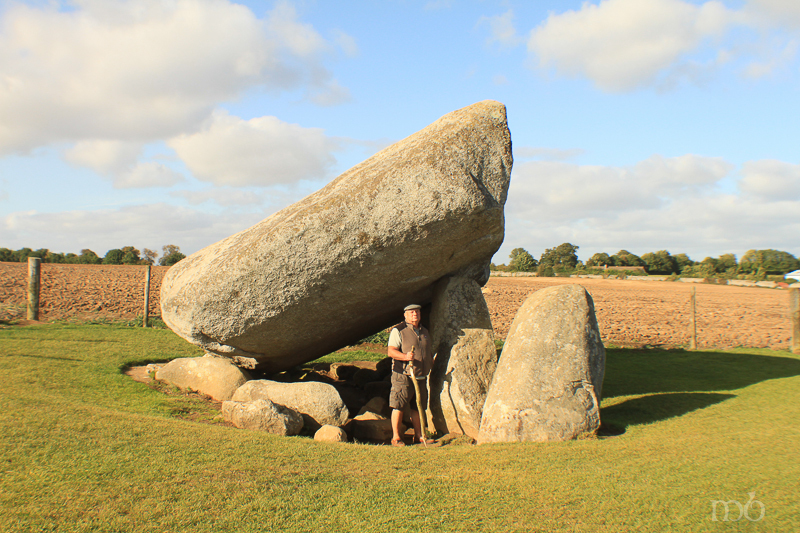 See two amazing dolmens in County Carlow – Brown’s Hill Dolmen and the Haroldstown dolmen. Then visit the Clonmore monastic site and crosses. Then continue on to Glendalough where you will spend the night. Lunch and dinner under own arrangement. Overnight in Glendalough. After breakfast visit take a leisurely tour of the holy city – Glendalalough, an ancient monastic ruin set in the Wicklow Mountains. The city, founded by St. Kevin is complete with ancient churches, a cathedral, double gateway to the city, round towers, high crosses and amazing scenic views. AFter lunch tour Castleruddery Stone Circle near the Glen of Imal – royal seat of the Kings of Leinster. Then visit the “Pipers Stones” – a cluster of standing stones believed to have been played like pipes by the fairy folk. The sound of bagpipes could once be heard emerging from the stones. A fairy tree stands in the center of the circle. Finally return to Dublin hotel for Farewell Dinner. After a final full Irish breakfast, transfer to Dublin Airport for your return flight home. DAY 1 – RESERVATIONS: To book your reservation download the registration form. This ITINERARY is subject to change based on availability of hotels and sites. I am interested in the best climate time for our first visit to Ireland. Any time is a good time to travel to Ireland. Each season has its advantages. May and September are my favorite times because the days are longer and its just on the shoulder of the tourist season when everything is open and available. Hope this helps.